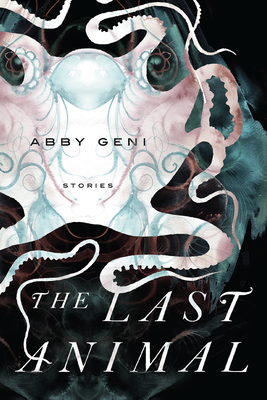 The Last Animal by Abby Geni is that rare literary find -- a remarkable series of stories unified around one theme: people who use the interface between the human and the natural world to contend with their modern challenges of love, loss, and family life. These are vibrant, weighty stories that herald the arrival of a young writer of surprising feeling and depth. Unflinching, exciting, ambitious and heartfelt, The Last Animal takes readers through a menagerie of settings and landscapes as it underscores the connection between all living things. Abby Geni is a graduate of the Iowa Writers' Workshop and the recipient of an Iowa Fellowship. "Captivity" won first place in the Glimmer Train Fiction Open and was listed in 2010 Best American Short Stories; it was also selected for inclusion in New Stories from the Midwest, published by Ohio University Press. Her stories have also received Honorable Mentions in the Kate Baverman Short Story Prize and in Glimmer Train's Very Short Fiction Competition. She lives in Chicago, where she is at work on a novel.